Dionissiou Areopagitou Street lies between the city's residential zone and the area around the Acropolis hill. 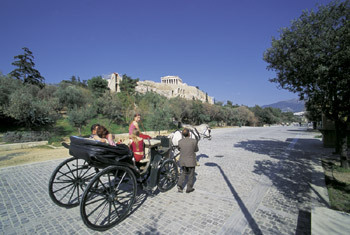 Lately it has been pedestrianized and has become a favourite promenade for Athenians and tourists alike. Open-air sculpture exhibitions are often mounted on this street and in recent years.